Pain Psychological Evaluation: A basic pain psychological evaluation includes a review of available medical records, a clinical interview with Dr. Wolfson, and if necessary, completion of a battery of psychological testing. A thorough written report is generated and forwarded to the referral source. In many cases, a feedback session will be scheduled to discuss the results of the assessment. Presurgical Psychological Evaluation: Multiple peer-reviewed outcome studies have identified certain risk factors that can reliably predict potential problems that may arise if an individual is not ready to undergo certain medical procedures. Failure to report significant improvement in pain, failure to progress in physical rehabilitation, failure to successfully reduce pain medication use, and ongoing physical disability following interventions to treat pain can often be avoided with a thorough presurgical evaluation. Spinal Cord Stimulator Trial: Spinal cord stimulation, sometimes called neurostimulation is an effective method for treating neuropathic symptoms in individuals with retractable pain. These procedures have been used for nearly 40 years, and involve the placement of electronic leads near the spinal cord. 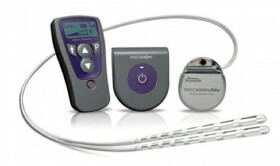 An electronic signal generator creates an electric impulse designed to block the transmission of pain signals from the periphery to the brain. Many pain management physicians and surgeons who perform these implants will require a presurgical psychological evaluation prior to attempting a trial implant. Intrathecal Pain Pump Trial: An intrathecal pain pump is designed to deliver pain medication directly to the spinal cord. A small pump is surgically placed under the skin and is connected to a catheter that delivers a constant, measured amount of medication. As a result, patients can usually get by with overall lower doses of medication. Similar to the spinal cord stimulator, most physicians will do a trial of medication delivered directly to the spinal cord before moving forward with a permanent implant, and most physicians require a presurgical psychological assessment prior to surgery. 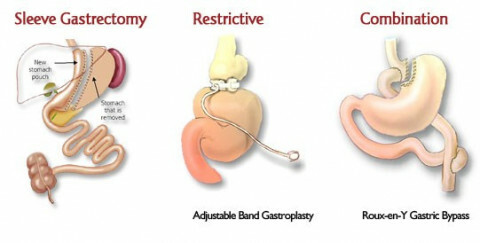 Bariatric Surgery: Bariatric surgery promotes accelerated weight loss by altering the digestive system to limit the amount of food that can be eaten and digested. There are a number of different surgical procedures that have been shown to result in rapid weight loss, yet again, psychological and behavioral factors have been shown to reliably predict post-procedural outcomes. Most physicians and insurance companies require a bariatric presurgical psychological evaluation prior to moving forward with surgical interventions to treat obesity. To learn more about referral to Dr. Wolfson for assessment, please click here.